SAN ANGELO, TX -- A road sign on U.S. 87 S. just past Ben Ficklin Rd. that was misspelled 'Fricklin' has been taken down. The misspelling was making the rounds on social media. 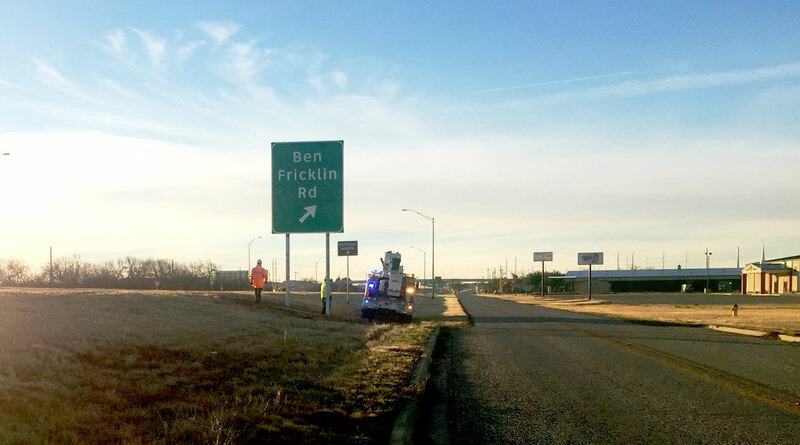 Just after 8 a.m. Thursday morning crews with the Texas Department of Transportation were on the scene and confirmed they were removing the new sign. The misspelled road sign belongs to TxDOT. Spelling sometimes can be humorous. Sorta like my friend one time who was having a difficult time. She said, I am loosing it. I said your are losing it.